The perfect tool for the pianist, both professional and student. Audition piano arrangements within seconds. Practice along; mute one hand while playing back the other at various tempos. Transpose and print score in new keys. Save scores to Music XML files. PDF recognition. For version comparison, see SmartScore Editions Comparison Chart. 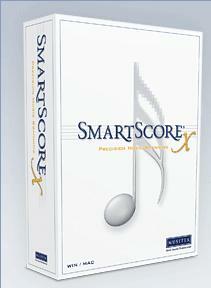 For a demo version, see SMARTSCORE demos. Our price: $69.00 + $10 shipping for first item, others $6 each.